94221BU Lucky Road Signature - 1998 Porsche 911 Carrera Hardtop. 1:43 scale diecast collectible model car. 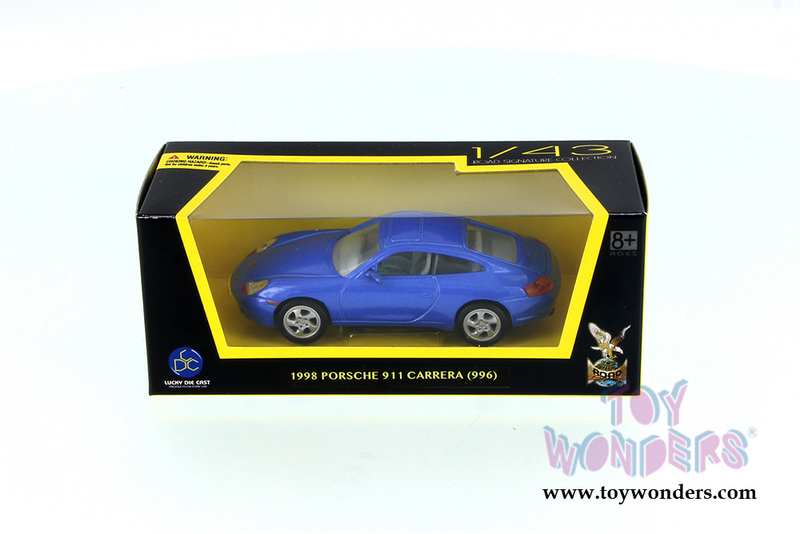 This Porsche 911 is a 4"Lx 1.5"Wx 1.25"H diecast metal car. Road Signature collection. 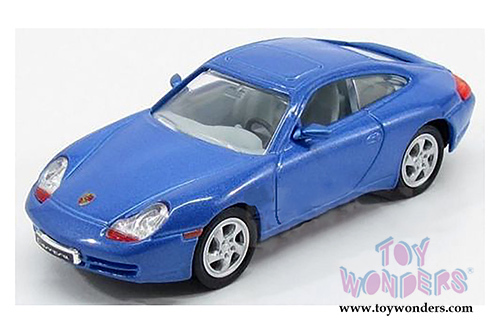 The Porsche 911 is manufactured by Lucky Die Cast Products Factory LTD. Item 94221BU is in BLUE color. Individually packed in a window box. Box size: 6"Lx 2.5"Wx 2.5"H.